Internet Message Access Protocol, or IMAP, refers to the way email is handled online. If you have a central mailbox many people need to access, or you need to be free to check email from multiple locations, choose IMAP hosting. There are two ways to receive emails: POP and IMAP. While POP is widespread, we’re increasingly switching to IMAP as the most efficient way to use email. Hosts have now recognized that IMAP is a more sensible way to use email, even if it requires more resources on their side. Several steps happen when you log into your IMAP email account. Some clients offer offline access. The process behind emailing is fairly straightforward. First, the sender will compose a message on their computer. They must use an email client to do this. This email client can be web-based like Gmail or it may be a desktop application like Outlook Express or Apple Mail. Then, when the sender hits “send” from their email client, the email is off and running. The text and the email attachments are sent to the SMTP server. This stands for Simple Mail Transfer Protocol. This is an outgoing server that actually manages both outgoing and incoming mail. This is the email server that is provided by a hosting company or your ISP. You can send mail to people on the same SMTP server as you or to someone using a different one. The process is fairly similar either way. So, once the SMTP server receives your outgoing mail, it communicates with the DNS (Domain Name Service) server. This is how it finds the server IP address that holds the domain name of the email’s intended recipient. Then, the SMTP server will transfer the email to the recipient’s email server. The recipient’s email server then transfers the email to the IMAP and POP servers. Whether it is POP3 or IMAP will depend on which incoming mail server the recipient’s email client is set-up to use. Then, the recipient opens their email client and the email is downloaded from the server for them to read. 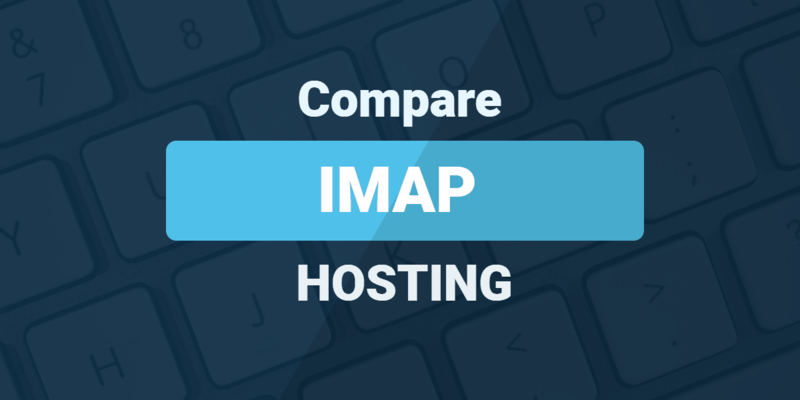 Who's Best for IMAP Hosting? We think SiteGround is the best choice for IMAP. An email client is an application that internet users interact with to view and send mail. These let you read, organize, compose, and reply to email messages. The email client is responsible for downloading messages from the mail server and uploading them when you hit “send”. 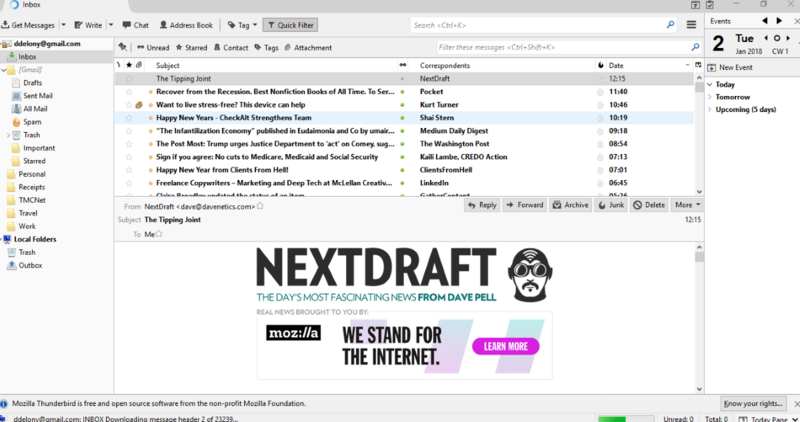 Stand-alone email clients can be installed as an application on your computer’s desktop. For example, Microsoft Outlook and Outlook Express are email clients like this. Similarly, Apple Mail is an email client that comes pre-installed on operating systems from Apple. Most people use a free web-based email client like Gmail or Yahoo. These are accessed via the web browser. It’s possible to use external clients mentioned above with these services if you prefer. There are many more available from a web search. To use an email client, all you have to do is set up an email account. Sometimes you will be required to configure settings in the email client that allow it to interact with your SMTP mail server. Using the mail server provided by your ISP will work for personal email communication, but businesses that need to send mass emails for marketing campaigns may run into problems. ISP servers may restrict the number of emails you can send. As a result, businesses will want to use email hosting from a web hosting provider or a separate email hosting company. Most of the time, email hosting is included in web hosting plans and you won’t be required to look elsewhere. Post Office Protocol (POP, or POP3) email is the method that most Internet Service Providers (ISPs) used to promote as the default and preferred method. With POP, emails are downloaded from the server and stored locally on your computer. Normally the email is deleted from the server once they’ve been downloaded, so the ISP doesn’t need to store all of that data on its servers. 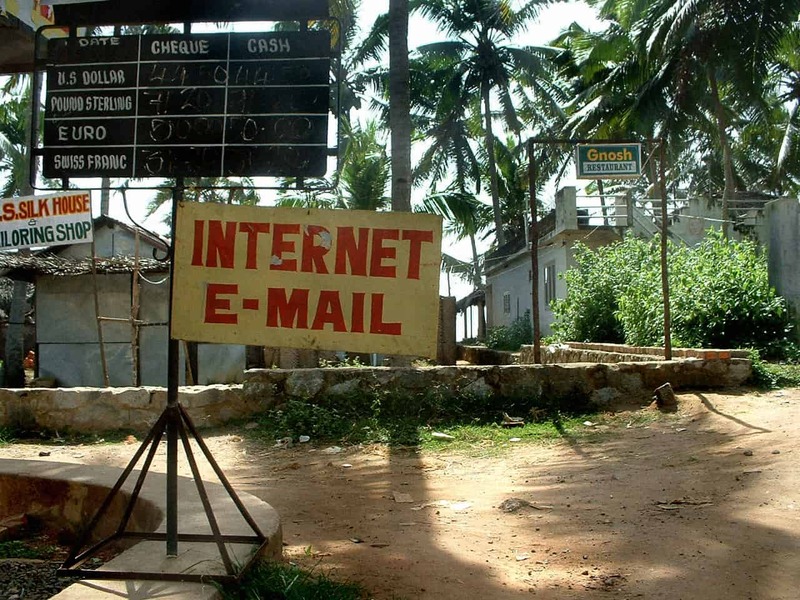 With Internet Message Access Protocol (IMAP) works differently. The email client stays in sync with the mail server. You can still read emails when you’re not connected to the internet, providing you downloaded the whole message prior to disconnection. Once an email is deleted on one device, it syncs with the server, and all other devices update their synced copy to reflect the change. There has been a sea change among ISPs in the last couple of years. They are bending to demand and offering more support for IMAP over POP. This is partly because we’re all using mobile devices, and IMAP is the only practical way to manage our email accounts. You Can Get Email from Anywhere with IMAP. Photo courtesy of mattwi1s0n at flickr under CC BY 2.0. IMAP is useful with multiple devices because it allows you to access your email from anywhere. You can use a webmail client, a desktop client, a smartphone, or a tablet while keeping the same mailbox. It fits in with our move to cloud computing, where the emphasis is on remote storage and syncing, rather than local storage and backups. If a device is lost, stolen, or damaged, you don’t lose your messages. You just log into your email address on your new device. Along with the move from desktop to mobile devices, IMAP is well-suited to these devices’ push notifications. Push technology that alerts you to new emails as they come in, rather than polling for new emails every few minutes; IMAP allows you to choose whether to download email when a push notification comes in. Despite the convenience of mobile devices and push notifications, there are a few downsides. These notifications can be distracting. IMAP access also requires an internet connection to work. This is more of an issue with mobile connections, but even if a wired connection goes down, you’re stuck without access to email. Email clients do allow you to compose messages to be sent later when the connection comes back online. Business users will have to weigh the convenience of IMAP with the risk of downtime. Check the number of mailboxes you can create. You should check which security features are supported. You should pay attention to your storage limits, even though email messages are small. Email storage includes attachments, and the more data there is in mailboxes, the less you can use for your website. Your provider should have options you should use to configure your client. Every client is different. Good providers will have a knowledgebase of popular clients and other information you need to use clients that aren’t mentioned. In some (rare) cases, IMAP email isn’t offered as part of a hosting plan. If you need dedicated email hosting, some companies to provide this as a separate service. You can normally use it along with your main domain name, even if it’s hosted elsewhere. While there are some free IMAP email services, check the terms carefully. Many don’t provide some of the more advanced features you might expect, such as labeling and nested messages. Some services also limit provision to POP without IMAP, and they may restrict you from sending too many messages to prevent spam. On the plus side, email hosting is not expensive and usually includes webmail, which works well with IMAP. As an alternative, you could use Google Apps. There are many options available for separate email hosting providers. They will allow for bulk email sending and supports applications for high-volume email sending. Often, you can send tens of thousands of per month without running into restrictions. Plans may be slightly more expensive than personal and small businesses can afford. For this reason, this kind of plan is better suited to larger businesses. For most people, email hosting that’s included with their web hosting plans should be sufficient to meet their needs. Most hosting companies include spam protection and anti-virus protection for your emails as well. All systems have their pros and cons and IMAP is no different. Here are the main ones to keep in mind as you make your decisions. It works well with push notifications. Given a huge number of choices, I thought I would start you off with my three favorites. They will get you started, and then you can move on from there. 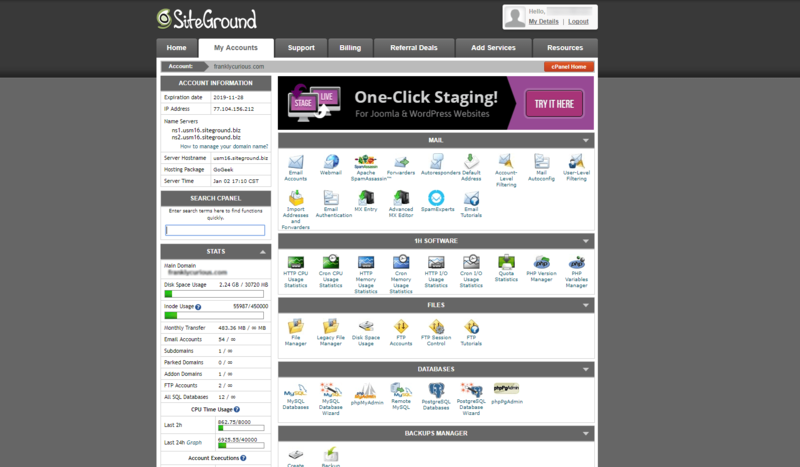 SiteGround always has many great things to offer with their web hosting plans. They give you unlimited email accounts and email databases. Your use of their email servers is limited to the disk space allocated for the specific plan you choose. As with all their plans, SiteGround includes free website migration, a website builder, and the industry-standard 99.9% uptime guarantee. When you host with Bluehost, you’ll be paying similar prices for their shared plans as with SiteGround. But, you also get free domain name registration. Their plans will give you varying levels of email storage capacities with higher-priced plans offering unlimited accounts and storage. Bluehost’s email hosting is compatible with third-party clients and includes spam protection. Your email users can have different account controls to customize their email account however they like. InMotion Hosting also has secure IMAP email offered with their plans. Their email hosting includes real-time spam filtering. InMotion uses super-fast SSD servers so even their shared hosting plans pack a huge punch. All of their plans come with free marketing and security tools. 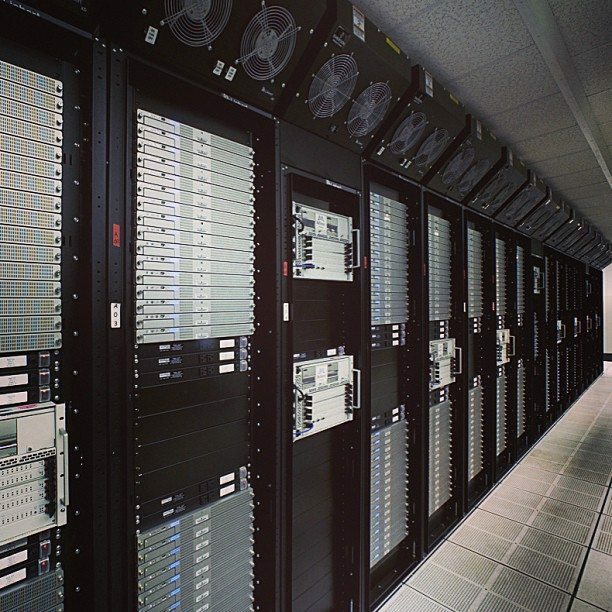 One of our favorite things about InMotion is that they let you pick the datacenter that your website is hosted in. This is a rare thing to find from shared hosting packages. IMAP stands for internet message access protocol. It’s a protocol for storing and retrieving email. How long has IMAP been used? IMAP was first developed in 1986 by Mark Crispin, a systems programmer at the Stanford Knowledge Systems Laboratory. It was created as an alternative to POP (post office protocol). Is IMAP used to send email as well as retrieve it? Technically, you can use IMAP to send email, but it doesn’t normally handle that. It’s more common that you’d use IMAP for storage and retrieval, while using an SMTP server to send. In simple terms, IMAP allows you to store email on a remote server, and download a copy of that mail. When you read, delete, or archive an email on your computer, the changes are replicated on the remote server, so the local and remote copy are always the same. With POP, the email is downloaded from the server onto your computer in a one-way transfer. You can choose whether those emails are retained on the server, or deleted once they have been downloaded. Either way, if you delete an email on your computer, the server doesn’t replicate that change. So if you connect another device to the same POP mailbox, the message may be downloaded again. The easiest way to understand the difference is to think about one mailbox that you use on several devices: a computer, a phone, and a tablet. Once you delete an email on your computer with IMAP, the change is replicated on the email server, and then, on your phone and tablet. In contrast, if you download email with POP on all devices, and then read, archive, or delete messages, the devices will be constantly out of sync. How does IMAP handle folders? IMAP and POP are different in the way they store emails in folders. With POP, emails are downloaded from server to computer, but there’s no transfer in the opposite direction. The most notable impact of this is the sent mail folder. With IMAP, sent emails are stored centrally on the server so you can access them from anywhere. Likewise, you can create folders in an IMAP account and those folders will appear on all devices. If you create folders when using POP, they will only apply to your local computer. Why should I choose IMAP when setting up my email account? Most of us use devices that are constantly connected to the internet, and we use the same mailbox on multiple devices. IMAP is ideal for this, because it always retains a copy of emails on the server. IMAP also works well with web-based email like Gmail, and where multiple team members are working from one shared mailbox. Are there any disadvantages to using IMAP instead of POP? POP is inherently very simple and fast, so it can download messages quickly. 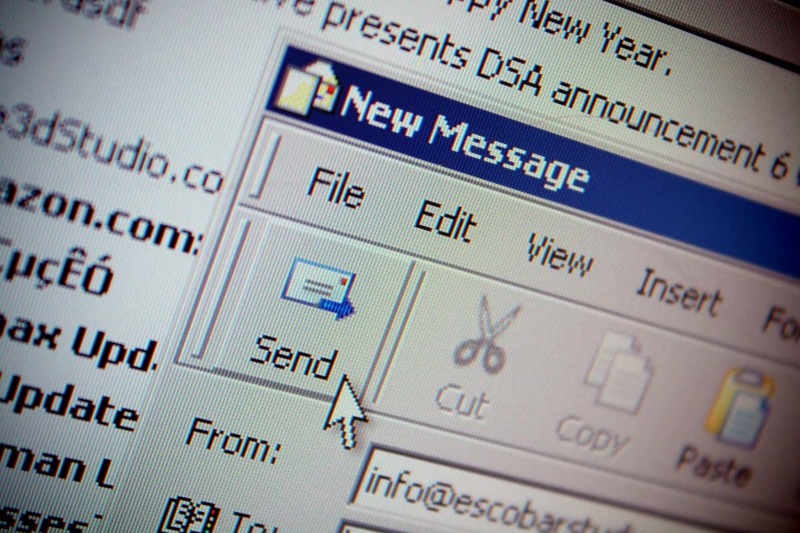 This fast transfer can be advantageous if the recipient has to connect to dial-up to retrieve their email. IMAP also is a more complex protocol than POP, and it requires more server resources. But perhaps the biggest consideration is mailbox space. With POP, you can choose to delete all of your messages from the mailbox once they’ve been downloaded, which frees up space on the server. IMAP doesn’t do this, so you might end up running out of server space if you don’t delete old emails regularly. Do all web hosting plans support IMAP? Most web hosting companies include IMAP support standard with their plans. Which email software supports IMAP? All major email applications support IMAP. If you are looking for a free client, we recommend Thunderbird. Is it possible to buy email hosting by itself? Yes. Some web hosting companies offer dedicated IMAP hosting for business email. The fees are usually based on the number of mailboxes you need, and you may also benefit from extras like built-in anti-spam software, uptime guarantees, and dedicated support teams. Does IMAP use more bandwidth? IMAP maintains a constant connection to the server, but it doesn’t necessarily use more bandwidth. Many email clients have a setting that only downloads the header information from each IMAP message: the name, sender, subject line, and so on. The actual content of the message is only retrieved when the message is selected, and the same goes for any attachments. If you receive a large amount of email, this ‘on-demand’ retrieval can be faster and more efficient than downloading everything. What hosting features should I look for if I need IMAP? Check that the host offers IMAP as well as POP. Ensure the plan you intend to buy allows you to create a sufficient number of mailboxes. Find out what the storage limits for your mailboxes are. On many plans, your mailbox space and server space are shared, so you’ll need to ensure that your email mailboxes don’t encroach on the space you need for files. How do I move email from my old POP account to my new IMAP account? The most straightforward way to achieve this is to set up both mailboxes in an email client, such as Thunderbird. Allow all of the messages to download from your POP server onto your computer. Then, select all of the POP emails in the inbox, and drag them into the inbox of your IMAP account. You can repeat the process with any email folders that you’ve created for your POP account, as well as your Sent Items. How often will my device check for new emails? With POP, you can choose how often your device checks your mailbox. With IMAP, the server and device stay in sync as long as there is a network connection. If you get a new email into an IMAP mailbox, you can have a Push alert pop up more or less straight away, assuming your device is connected to the internet at the time. Should I use Microsoft Exchange or IMAP? Microsoft Exchange requires a Windows server, so the cost needs to be factored into this decision. But if you’re using other Microsoft technologies, it might make sense to use Exchange for full integration. Exchange is designed for full office collaboration, rather than just an email service.